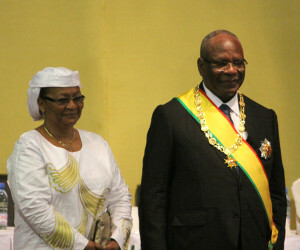 President Ibrahim Boubacar Keita and the First Lady, Keita Aminata Maiga, at the official proceedings where he was sworn in as president. 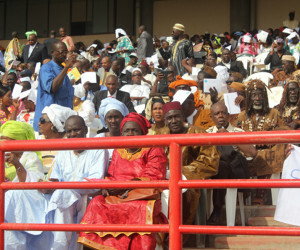 Public Celebration of the Inauguration of IBK 2 weeks after he was sworn it. 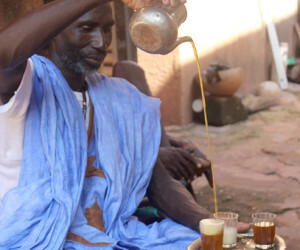 The men in brown are a delegation of traditional hunters. 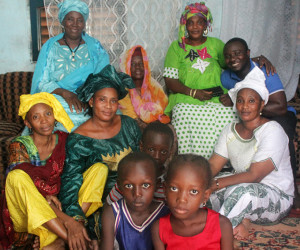 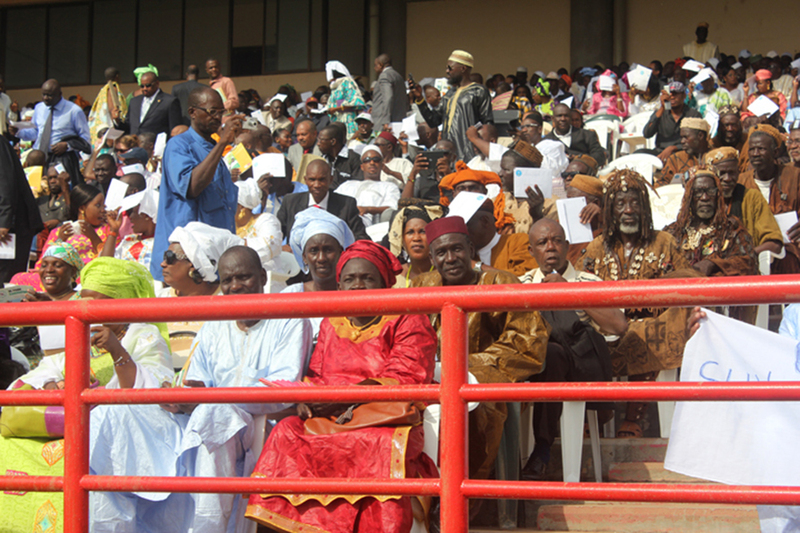 Sunday is indeed the day for weddings in Bamako. 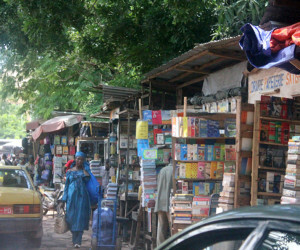 They are all over town. 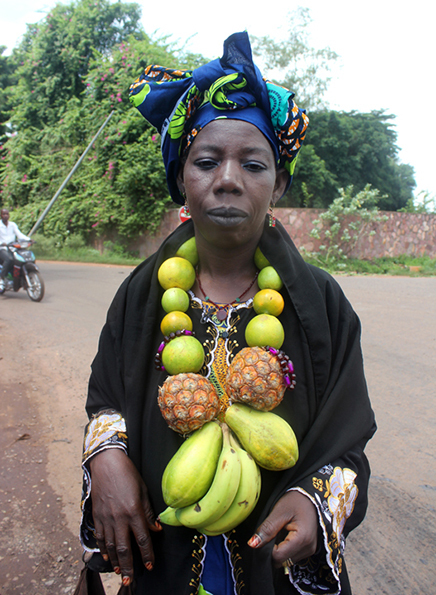 One Sunday I happened upon this fruit seller with this fabulous necklace on her way to a wedding. 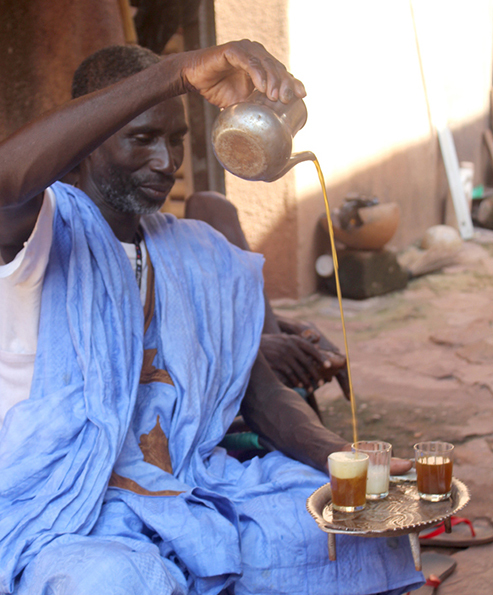 Tea, an essential part of Malian life. 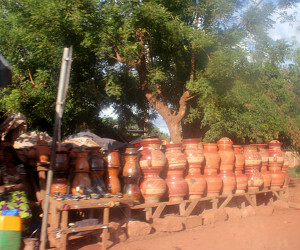 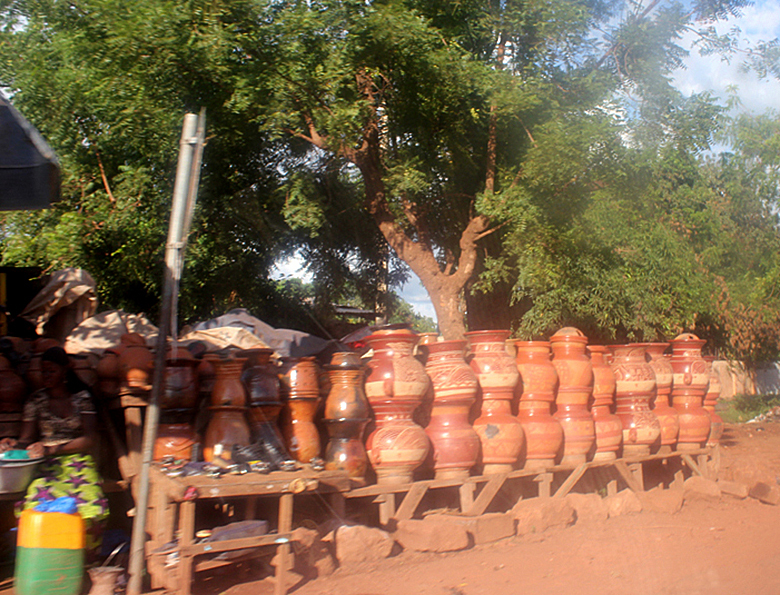 Ceramic jars for sale along the road. 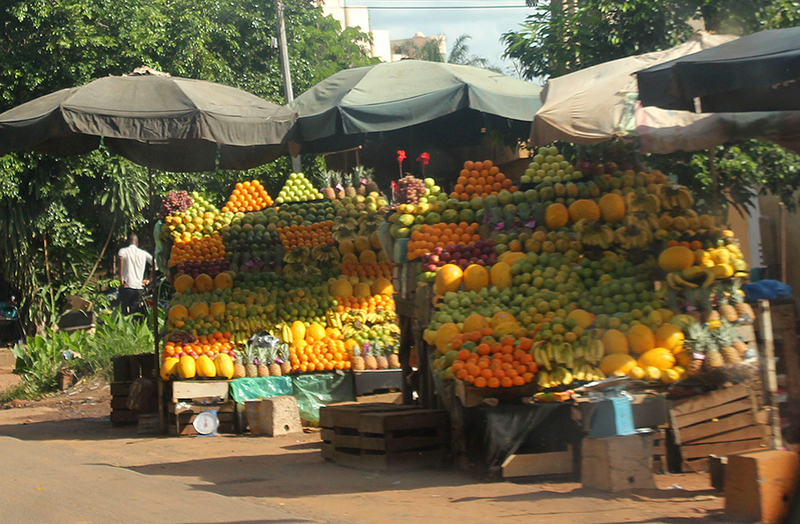 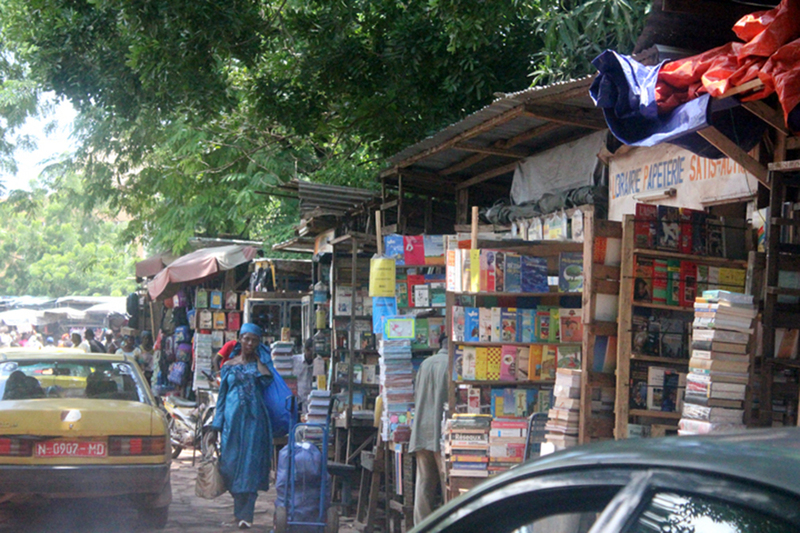 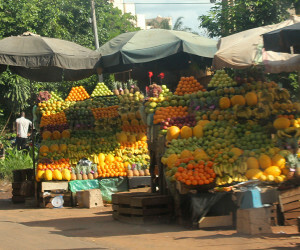 The street of book stalls in the market in the center of Bamako near the artisan market, the Grand Mosque and the National Assembly. 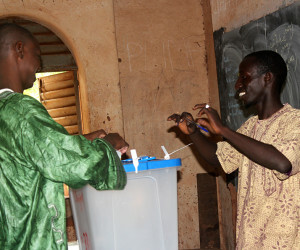 Mostly in French. 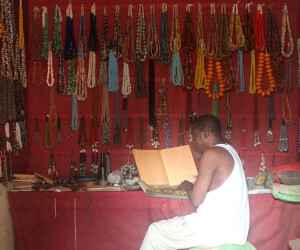 Bead merchant reading the Koran on a rainy Friday after the prayer. 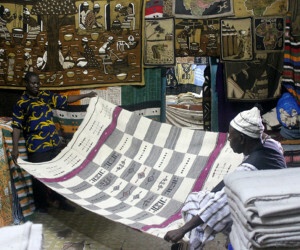 Cloth store in the Grande Marche. 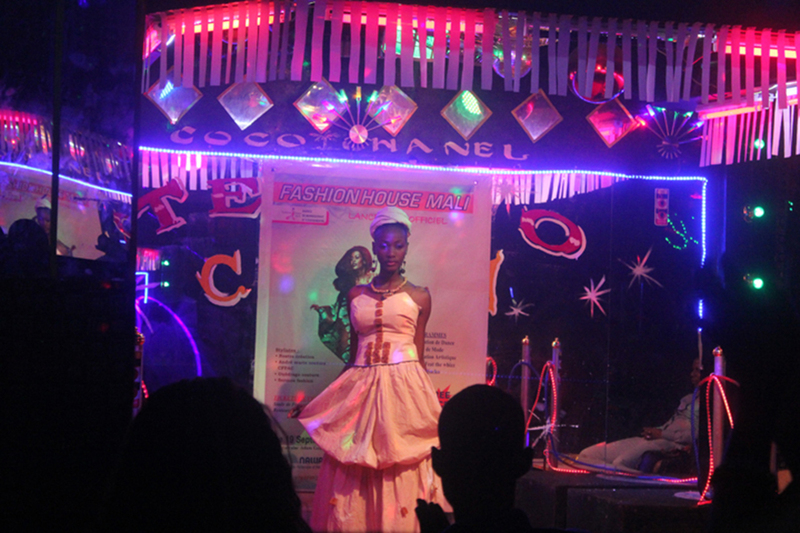 Fashion show presenting the work of 4 young designers at the night club, Stade2 France. 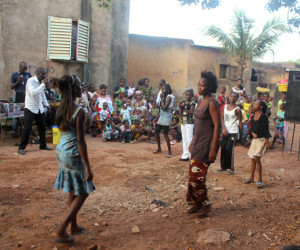 Party in the street. 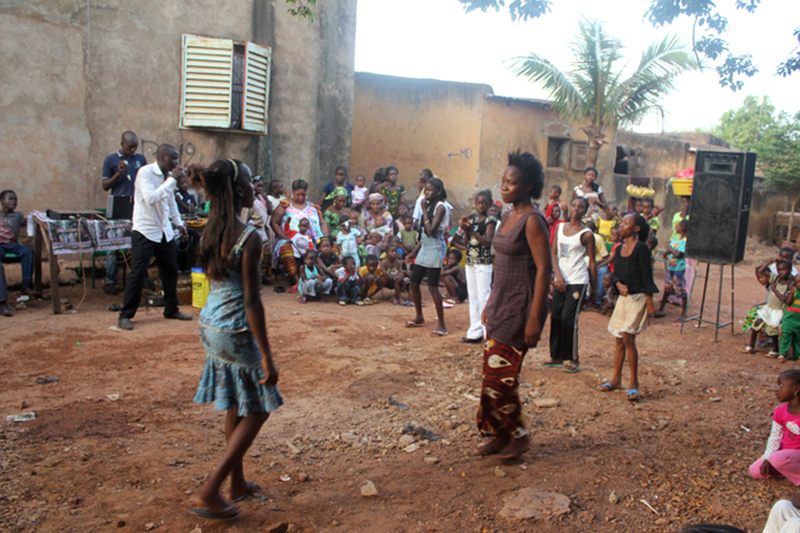 Amplified music and a line dance. 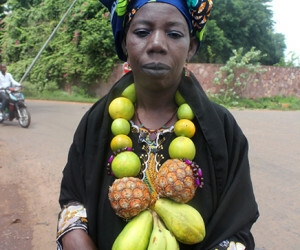 Called Balani Chaud. 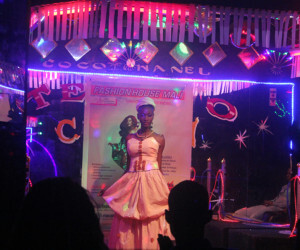 This one is a birthday party. 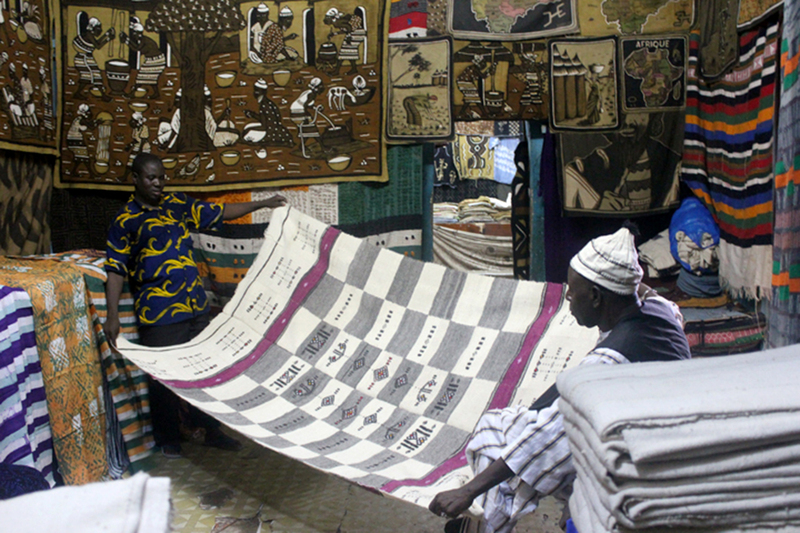 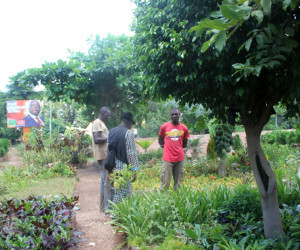 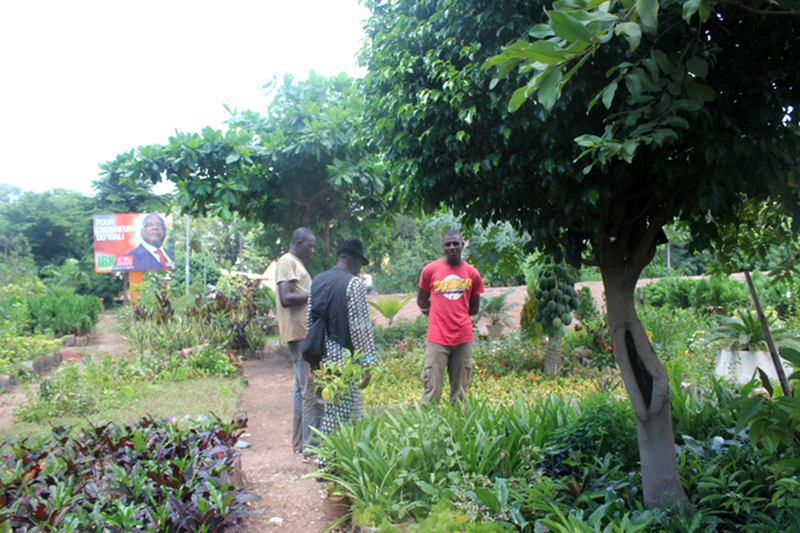 This photo journal documents events in Bamako in August and September of 2013. 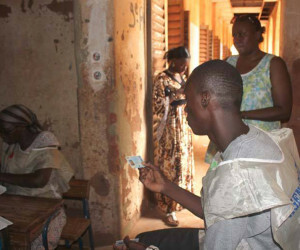 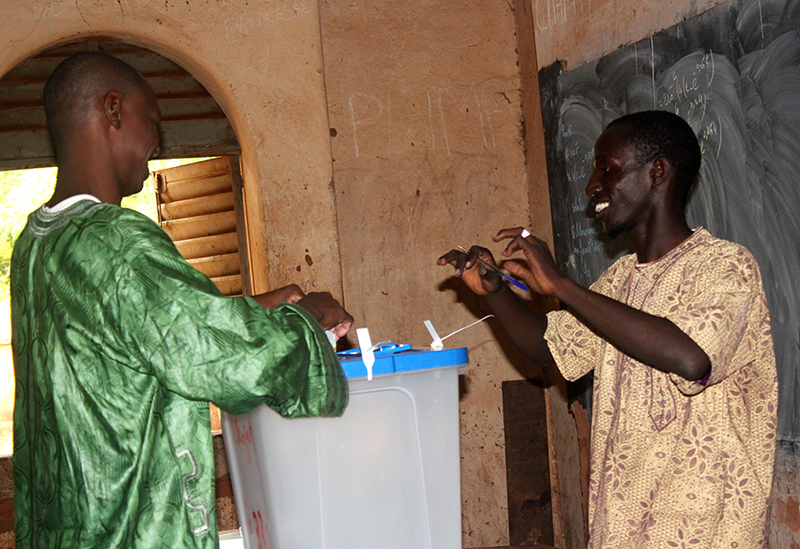 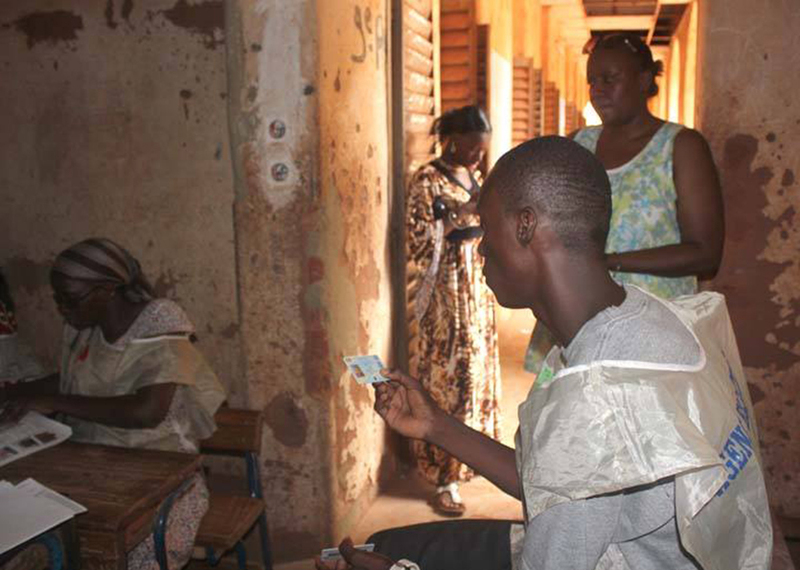 Amidst the ins and out of normal life was the second round of voting in the presidential election and the inauguration of the newly elected president Ibrahim Boubacar Keita (IBK).